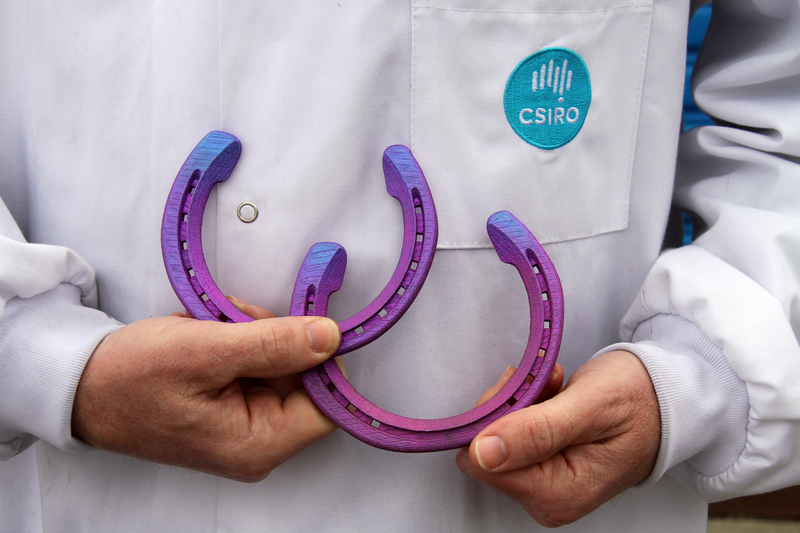 CSIRO scientists have custom made and 3D printed a set of titanium shoes for one Melbourne race horse in a first for the sport. 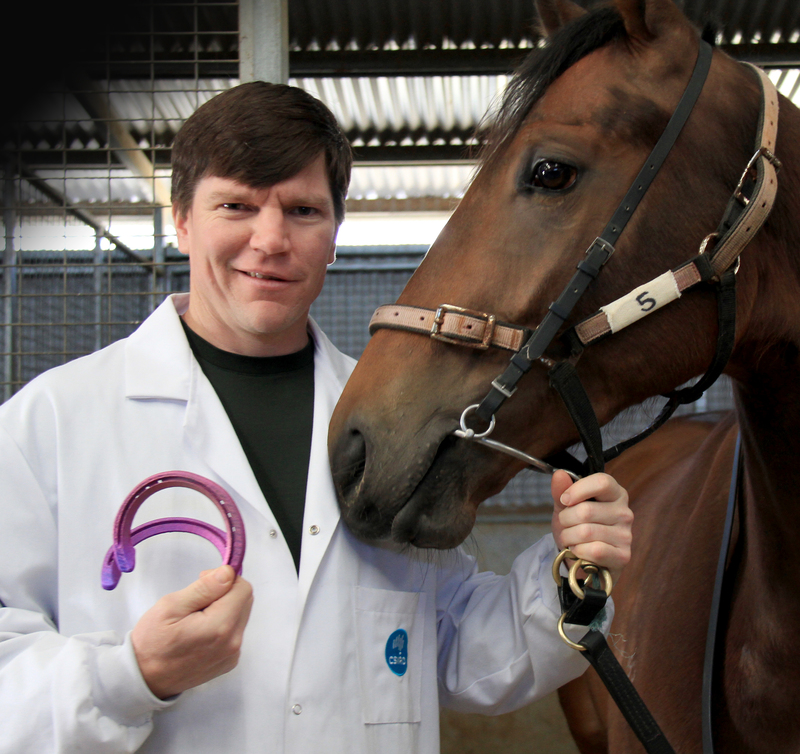 The horse, dubbed by researchers as ‘Titanium Prints’, had its hooves scanned with a handheld 3D scanner this week. 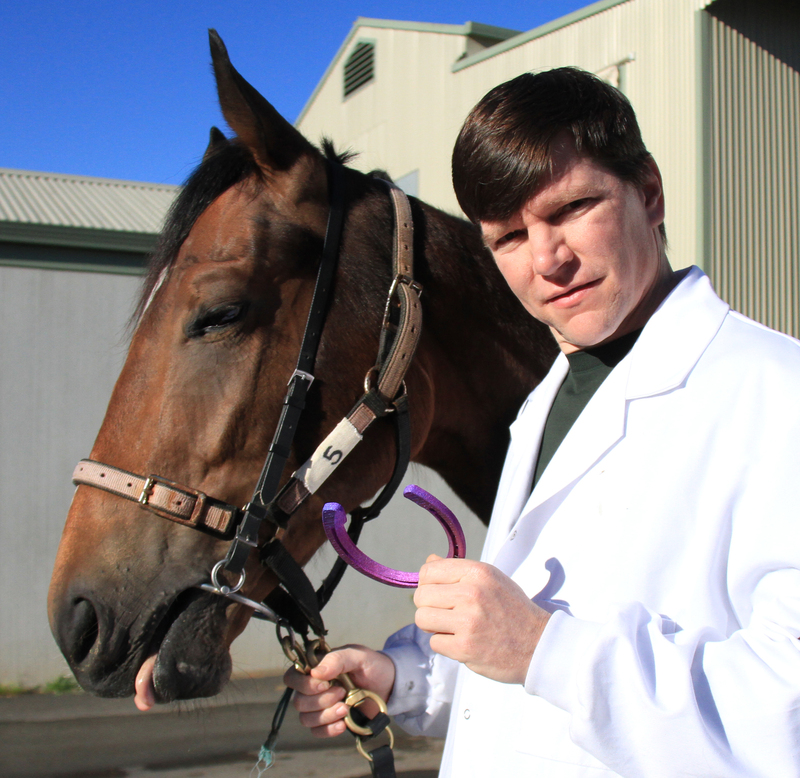 CSIRO researcher, Chad Henry, presents the new race shoes to the horse. 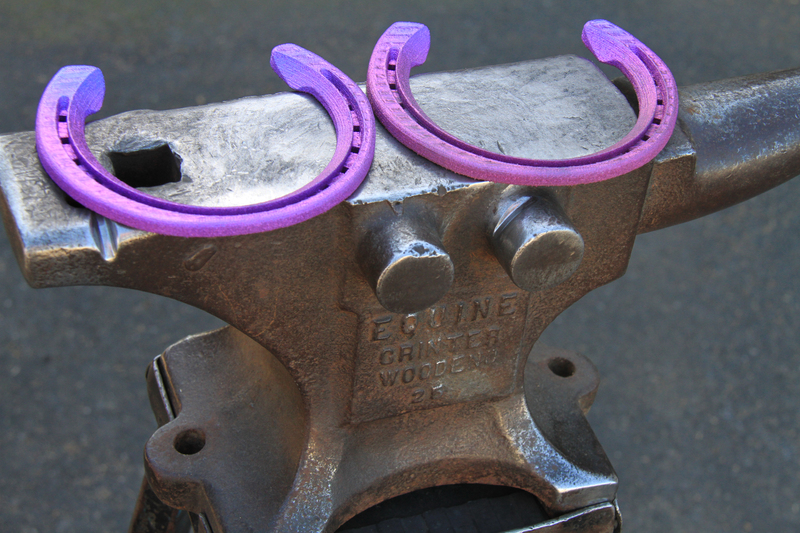 Scanned and modelled on the race horses hooves, these new shoes are a first for 3D printing in titanium.